The name Sebastian comes from the Latin name Sebastianus meaning "from Sebaste" which is the name of a town in Asia Minor. In turn, Sebaste is derived from the Greek σεβαστος or sebastos which means "venerable" which is the Greek translation of the Latin title for Roman emperors, Augustus. It is further said that the Greek sebastos comes from σέβας (sebas) which also means "awe, reverence, dread". Sebastian is an ancient name. In particular, it belonged to a Roman soldier from the 3rd-century who was martyred by arrows when he was outed as a Christian. 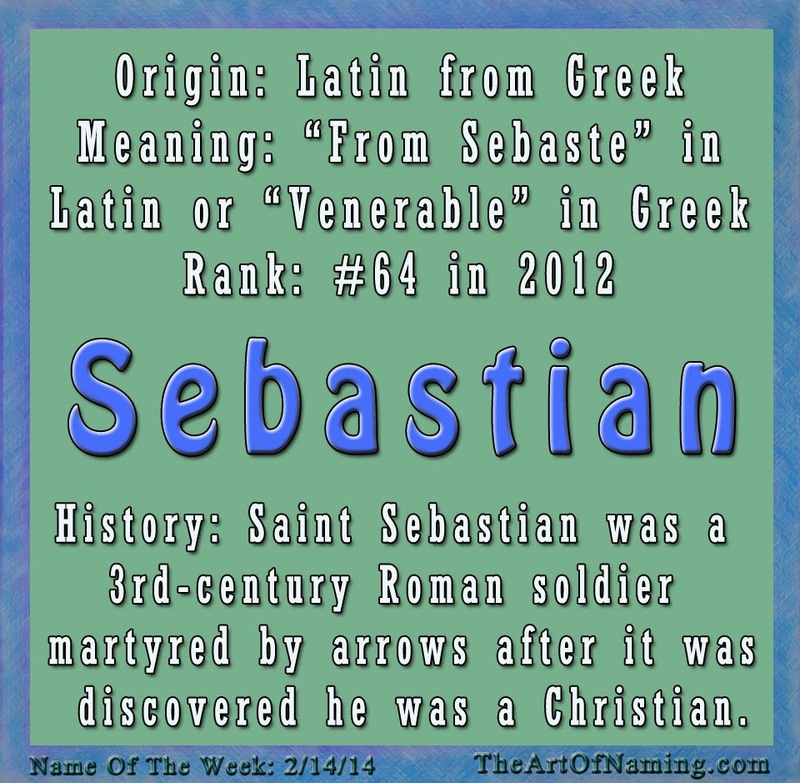 He later became one of the most popular saints causing the name Sebastian to be used throughout medieval Europe, particularly in France and Spain. In the 16th-century, the King of Portugal bore this name. He was killed in a crusade against Morocco. On a more creative note, there were characters named Sebastian in two of Shakespeare's plays, (Twelfth Night, and The Tempest) as well as the 1945 novel Brideshead Revisited by Evelyn Waugh. And of course, more recently, there is Sebastian the crab in Disney's The Little Mermaid. There are plenty of other people, characters and places relating to the name Sebastian! This sophisticated name is starting to see more and more usage these days! Since the 1990s, this name has shot straight up the charts. It isn't often that a name will have such a dramatic climb! Sebastian has been in use in the US since 1881 but it was used sporadically. It wasn't until 1901 that it gained regular usage. The number of births per year climbed into the 100's by 1915 but declined again to the 50 range by the mid-1930s. The number of births per year was back into the 100s in 1961, climbing steadily with each passing year. The number of babies named Sebastian suddenly jumped to the thousands in 1991. 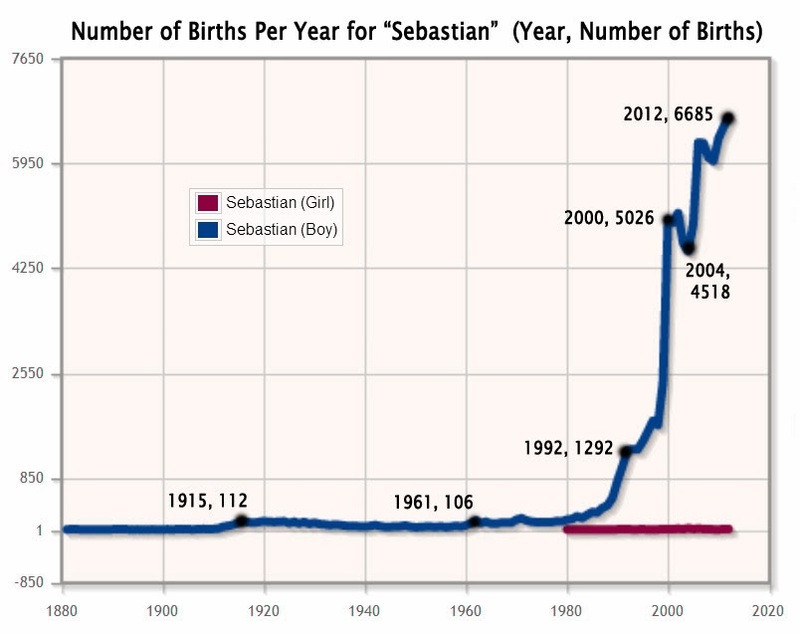 By 2000, there were over 5,000 baby boys named Sebastian putting the name in the top 100 for the first time. And it would only increase from there! Most recently in 2012, there were 6,685 births for a ranking of #64 on the Top 1000 chart. I would bet that it has climbed even higher in 2013. Common nicknames include Seb, Sebbie, Bas, Bash, Bastian or Baz and possibly Ian. According to Behind The Name, pronunciations vary around the world: ze-BAHS-tee-ahn (German), sə-BAS-chən (English), se-BAHS-tyahn (Polish). They also list many variations and diminutives of the name around the world and the popularity of the name in different countries if you're interested. It ranks as high as #5 in Chile and #9 in Austria! What do you think of this name? Let me know what you think of this name! 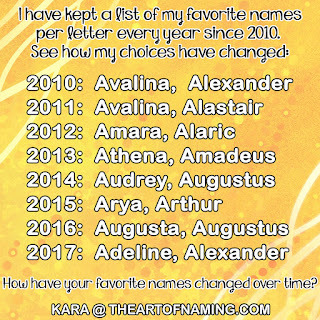 Also, what middle name ideas would you suggest? Do you know any little Sebastians? If so, what are their siblings' names?